Separation - What's really important? Separation – What’s really important? Given my family background, I often find it strange that I am now practicing as a Family Law lawyer. Don’t get me wrong, I love practicing Family Law. It is challenging and rewarding work, but it’s an area of the law that I have never experienced from the other side, as my parents are still happily married. This is not to say that there weren’t issues of course; I remember listening to arguments as a child, terrified that each shouting match or disagreement between my parents might spell the end of their relationship and the end of life as I knew it. This may have been a melodramatic response, but it is one that I am sure is shared by a lot of children. As a Family Law practitioner, I have come to realise that relationships between people change constantly and often there are irrevocable differences that force relationships to end. Where parenting is an issue in a separation, the law attempts to provide for the best interests of the children in any post-separation arrangement. This may include a child living mainly with one parent and spending allocated amounts of time with the other, or it may include a shared care arrangement where each parent spends an equal amount of time with the children. There are many combinations of these arrangements but it is important to consider that time between children and parents is not the only important factor in their welfare and wellbeing. A study called Views of Adolescents in Separated Families released earlier this month by the Attorney-General Robert McClelland, studied a large group of teenagers between the ages of 12 and 18, whose parents had separated between July 2006 and September 2008. The study found that there were numerous other factors contributing to the psychological health, school performance and social relationships of these teenagers than simply their post separation living arrangements. It concluded that regardless of care arrangements, a strong, warm relationship with one or both parents often meant that the child would be coping well. Whilst many of the children did not spend overnight time with both parents, the ability to have good quality contact either in person, by phone, or email had a beneficial impact on the child. What this study showed is it is the quality and stability of the relationship that matters most for a child’s adjustment. A situation where there is amicability between parents and an absence of conflict is going to be far more beneficial for their wellbeing and development. I’m not a child anymore but I do remember how much those ideals mattered to me throughout my younger years. What children want is a warm and loving relationship, free from angst and conflict. I take great joy in helping my clients work through their issues so they re-establish an environment where their children can flourish. 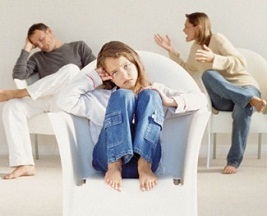 The Family Law Team at Watkins Tapsell and I are well aware of the complexities of separation and parenting dilemmas. It is our goal to guide you through the legal process of separation with as little complication as possible. Where children are involved we are also aware of our shortcomings as lawyers and readily provide our clients with information on counselling services, as well as Family Relationship Centres in the local region. If you are in the midst of a separation or are experiencing issues in relation to parenting, please don’t hesitate to contact us for assistance.